Content is the heart of your marketing strategy. Illuminate’s data driven approach identifies the content gaps on your site and plugs them with high quality writing using vital keywords that will direct search traffic to you, leading to increased clicks and more importantly, increased sales. Illuminate takes a data driven approach to content. We’ll do fine-tuned keyword research to identify what’s driving traffic in your niche. If you’re not featuring the most important keywords we’ll plan and deliver new onsite content to make sure your site is optimized for relevance. We can also plan and place offsite content to raise your rankings for the keywords you already feature to make that when customers search, they find you. We worked with transport consultants InMotion to boost their traffic and conversions in 2016. Our keyword research found a number of high traffic keywords in this niche that their site didn’t incorporate, so InMotion could never rank in the SERP for these terms. We constructed four new pages for InMotion to capture the missing traffic. Creating everything from the URL and Metadata to the content itself, resulting in a 24% boost to traffic. 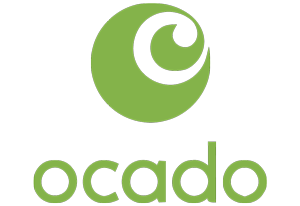 Illuminate was hired by premium retail brand Ocado to increase their SERP rankings for some key terms. Before our intervention they ranked at 75 for “Gluten free food” and 26 for “Dairy free food”. By optimizing their onsite content, and placing strategically written offsite content on high quality blogs we were able to raise their SERP ranking to 6 and 2 for these key terms, placing them firmly on Google’s front page of results. Contact Illuminate today to boost your traffic and dominate the SERPs for your most vital, valuable keywords.